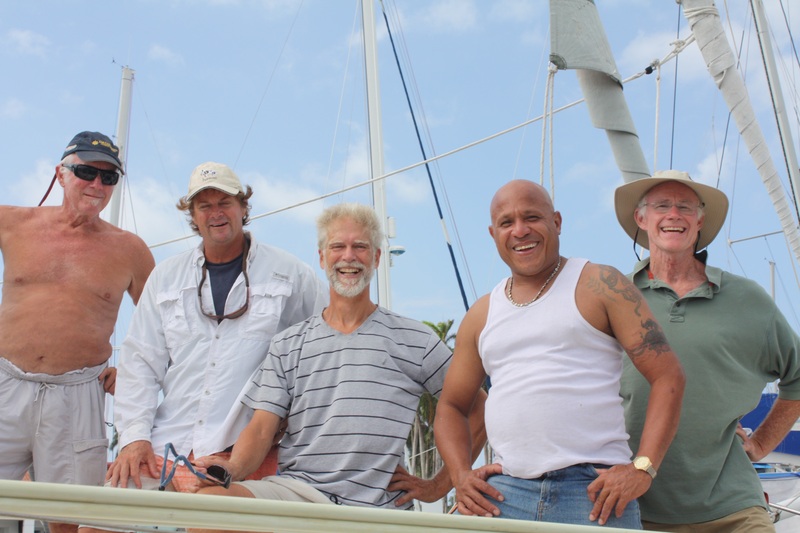 Happy crew about to leave Shelter Bay: Tim, David (friend assisting with line handling), Zeke, “Gato” (hired line handler), Bill. 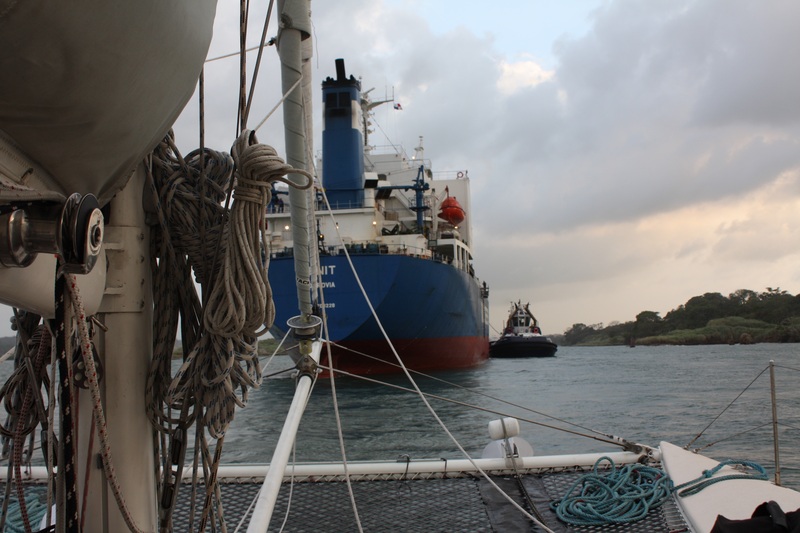 Lots of activity approaching the Gatun Locks. Our pilot/advisor looks on. 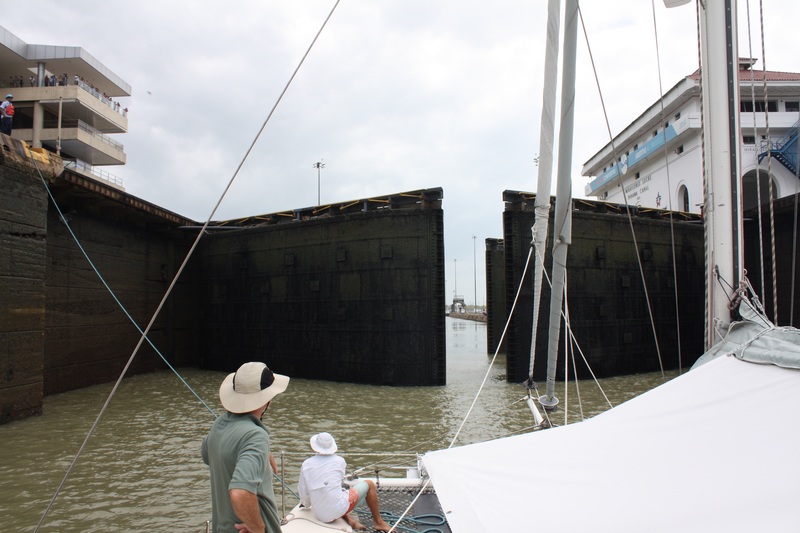 We will share a lock with this ship, as well as “nesting” with two other yachts. Maggie, OM and No Regrets in a “nest”. 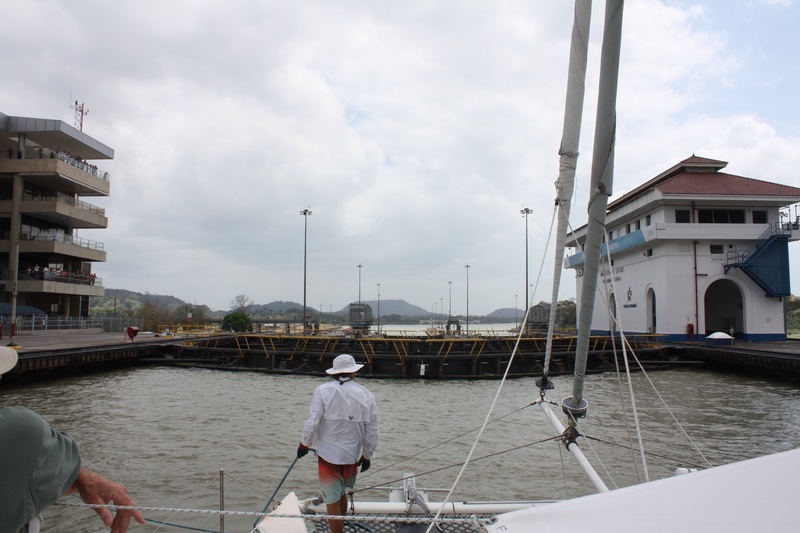 I have no photos currently of passing through the Gatun Locks because it was getting too dark. I will probably have some from other sources later. 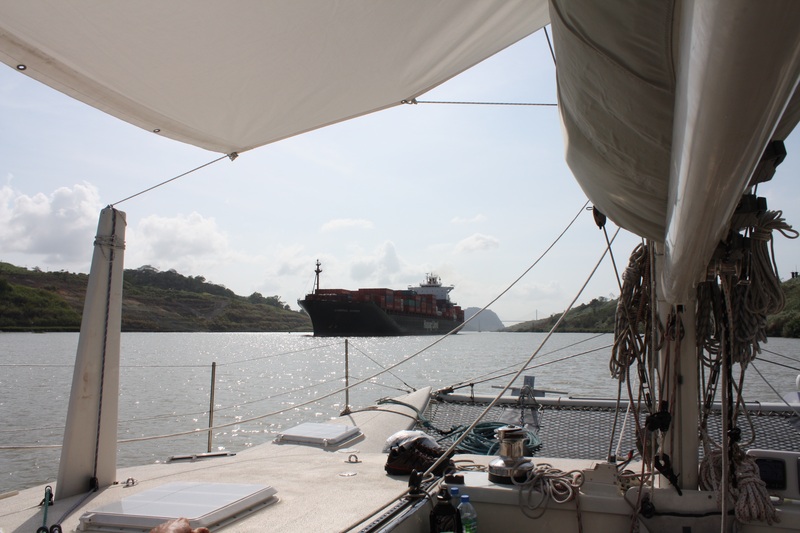 Next day cruising through Gatun Lake. Water down and gates opening. 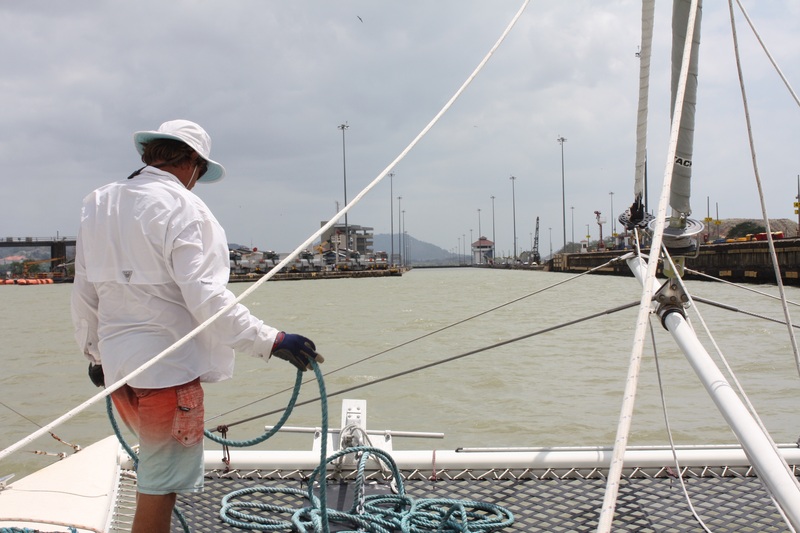 Lots more photos and video to be shared when I have a real wifi connection… Very happy to be on the Pacific side of the Canal. 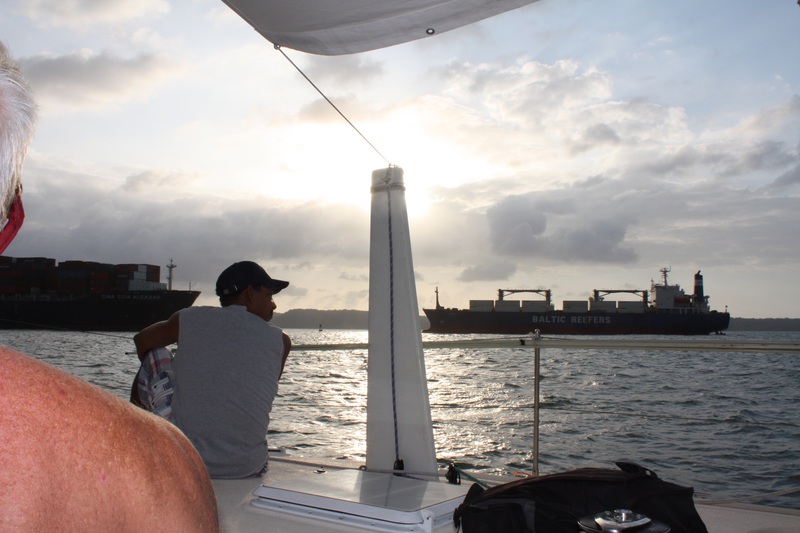 We’re at anchor; Tim has gone to try to clear out with immigrations. 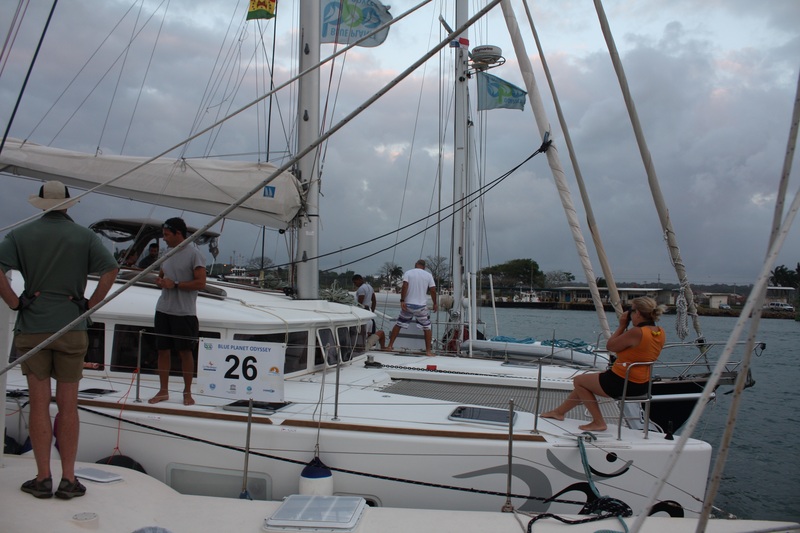 We still have a quest for an alternator repair that we’re trying to complete before we depart, though we’re all anxious to head south for the Galapagos! !